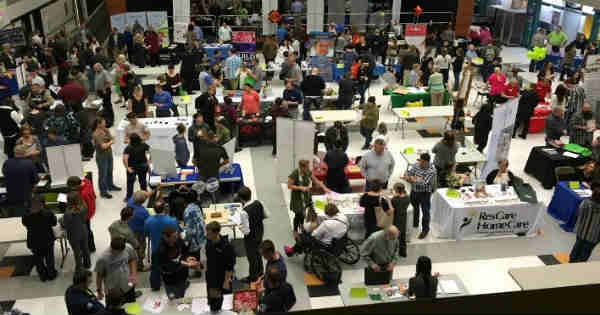 Battle Ground Schools' Industry Fair 2019 | Clark County Live! Editor Note: While business registrations are now closed for this event, students, families, and the general public are still invited to attend. Students, families and community members are invited to learn about careers in southwest Washington at Battle Ground Public Schools’ Industry Fair on Thursday, February 21st from 5:00 PM to 7:00 PM at Battle Ground High School (300 W. Main St.). Do you own a business? Would you like the opportunity to educate young individuals about career opportunities in our community? Now is the time to reserve your spot for this popular community event. Employers will have the opportunity to meet with students and community members about possible career opportunities following high school. All industries are welcome, from healthcare, manufacturing, technology, construction, finance, hospitality, retail, apprenticeships, transportation, and more. The deadline to reserve your spot is February 15th. Sign up online HERE or contact the BGPS career guidance specialist Kevin Doyle at 360-885-6598 or email at [email protected] for more information. This is a great opportunity to get your business out there as well as giving today’s youth an option for career planning.